Introduction: The tolling of the statute of limitations for cartel damages claims. According to former Section 33 Para. 5 of the German Act against Restraints of Competition (hereinafter Section 33(5)) the statute of limitations with respect to private cartel damages claims is tolled if a national competition authority of an EU member state or the European Commission has initiated a proceeding with respect to the anticompetitive conduct in question. It has been much disputed whether the tolling effect applies to cartel damages claims that arose prior to Section 33(5)’s entry-into-force on 1 July 2005, with German lower courts diverging in that regard. In contrast to some other appellate courts, the Higher Regional Court in Karlsruhe ruled against the application of the statute prior to July 2005. It granted, however, leave to appeal, thus allowing the parties in that proceeding to take the question to Germany’s highest civil court. In a landmark decision on 12 June 2018, the German Supreme Court ruled in the Gray Cement cartel II decision that cartel damages claims that arose prior to July 2005 in fact do benefit from the tolling provision. The impact of the Gray cement cartel II decision. The 12 June Gray Cement cartel II decision is of paramount importance for victims of the many major cartels that took place prior to 2005 in Germany, first and foremost the Trucks cartel, Air Cargo cartel, Sugar cartel, and the Gray Cement cartel. Had the Supreme Court decided that the law of July 2005 did not apply to cases before July 2005, a large chunk, if not all, of the damages claims of the victims of these cartels would have long been time-barred. To justify its restrictive approach, the Higher Regional Court in Karlsruhe had mainly relied on the specific wording of Section 33(5). A literal reading indeed seems to imply that only cartel damages claims that arose since July 2005 benefit from the tolling rule that Section 33(5) authorized. The question therefore was whether the legislator, by specifically referring only to cartel damages claims based on another provision that also took effect only on 1 July 2005, intended to limit the suspensory effect to cartel damages claims arising after its entry-into-force on 1 July 2005. The German Supreme Court took issue with such a narrow understanding. It adopted a more global approach beyond the literal wording of Section 33(5), embracing its object and purpose as well as general concepts of law. The Supreme Court relied on the “general concept of intertemporal law,” according to which the limitation rule will generally apply to pre-July 2005 claims provided that: (1) the limitation period was still running at the time of the amendment (i.e., the pre-existing claims were not yet time-barred); and (2) the suspension rules will apply only for the time period after Section 33(5) took effect. The Supreme Court also referred to the legislator’s intention to strengthen private enforcement, which implies a broader application of the suspensory regime so as to allow more cartel victims to assert their damages claims. The paramount economic relevance of the Supreme Court’s June 2018 decision is very well illustrated by the facts underlying the case that was before the Court. As the claimant’s damages claims were not yet time-barred at the time of the entry-into-force of Section 33(5), the claimant benefitted from the suspensory effect of Section 33(5), back as far as 1993, saving damages claims that arose over an entire decade. The binding effect of final competition authority decisions involving cartels pre-dating July 2005. Section 33 Para. 4, which also took effect on 1 July 2005, provides that a court is bound by a final decision of a competition authority. It has been disputed, however, whether this provision applies also to an authority’s investigations that were initiated prior to its entry-into-force. Of interest, at the oral hearing before the German Supreme Court in Gray Cement cartel II, the German Cartel Office’s representative had argued against such retrospective application, not only with respect to the binding effect of administrative cartel decisions in cartel damages litigation, but also with respect to the suspensory effect of cartel investigations for pre-existing claims. This is quite surprising, as the German Cartel Office’s official agenda tends to be much more supportive of private enforcement. The Supreme Court did not follow this route. Instead, as had most lower courts, it classified the binding effect as a (mere) procedural rule which, again relying on a general concept of law, was applicable to all cartel litigation that was not concluded at the time of entry-into-force of Sec. 33 Para. 4. Additionally, the Supreme Court stressed that this provision was intended to facilitate private enforcement and was also capable of saving resources of the judiciary and avoiding contradictory court decisions. In its Gray Cement cartel II ruling, the German Supreme Court took a very pragmatic approach and displayed an overall claimant-friendly stance, making German courts an ever more attractive forum for private damages claims in the EU. This is evidenced not only by the Court’s rather ‘undogmatic’ reasoning, but even more so by the results the Court arrives at, in particular: retrospective binding effect of final competition authority decisions, and retrospective suspensory effect. The economic importance of these two rulings cannot be overestimated as it allows victims of cartels dating back to the 1990s to effectively assert their claims in court. While the Supreme Court’s Gray Cement cartel II ruling is a truly landmark decision, setting the scene for private cartel litigation in Germany in many respects, it will certainly not be the last word in that regard – not least with respect to the latest major overhaul of the German Act against Restraints of Competition in mid-2017, pursuant to which the legislator, that time around, implemented a fairly complex transitional regime. First disputes touching on this have already hit German courts. The successor provision, Sec. 33h Para. 6 ARC 2017, has a similar, yet somewhat broadened scope. In favor: Higher Regional Court Düsseldorf WuW/E DE-R 4477, 4491; WuW/E DE-R 4601, 4616 et seq. ; Higher Regional Court Jena WuW 2017, 203, 207; Higher Regional Court Frankfurt (Main), judgment of 24 November 2017, 11 U 56/16 (Kart. ), p. 21; Regional Court Berlin, WuW/E DE-R 4917; Regional Court Frankfurt (Main), judgment of 30 March 2016, 2-06 O 464/14, para. 172 (juris); Regional Court Munich I, judgment of 27 July 2016, 37 O 24526/14, para. 113 (juris); Regional Court Dortmund, judgment of 21 December 2016, 8 O 90/14 (Kart), para. 163 (juris). Against: Higher Regional Court Karlsruhe, judgment of 9 November 2016, 6 U 204/15 Kart (2), para. 82 (juris); Regional Court Düsseldorf WuW/E DE-R 3087. Bundesgerichtshof (German Supreme Court), judgment of 12 June 2018, KZR 56/12 – Gray Cement cartel II. European Commission, decisions of 19 July 2016 and 27 September 2017, case AT.39824 – Trucks; press releases available at: http://europa.eu/rapid/press-release_IP-16-2582_en.htm and http://europa.eu/rapid/press-release_IP-17-3502_en.htm. European Commission, decision of 17 March 2017, case AT.39258 – Air Cargo; press release available at: http://europa.eu/rapid/press-release_IP-17-661_en.htm. Bundeskartellamt (German Federal Cartel Office), decision of 18 February 2014, case B2-36/09 – Sugar; press release available at: https://www.bundeskartellamt.de/SharedDocs/Meldung/EN/Pressemitteilungen/2014/18_02_2014_Zucker.html?nn=3591568. Bundeskartellamt, decision of 14 April 2003 – Gray Cement; press release available at: https://www.bundeskartellamt.de/SharedDocs/Meldung/EN/Pressemitteilungen/2003/14_04_2003_Bu%C3%9Fgeld_Zementkartell_eng.html?nn=3591568. Higher Regional Court Karlsruhe, judgment of 9 November 2016, 6 U 204/15 Kart (2), para. 82 (juris). Bundesgerichtshof, judgment of 12 June 2018, KZR 56/12, para. 67 (juris) – Gray Cement cartel II. Id. at para. 72 (juris). Id. at para. 31 (juris). Id. at para. 32 (juris). See, e.g.,Higher Regional Court Düsseldorf, decisions of 3 April 2018 and 7 May 2018, VI-W (Kart) 2/18. 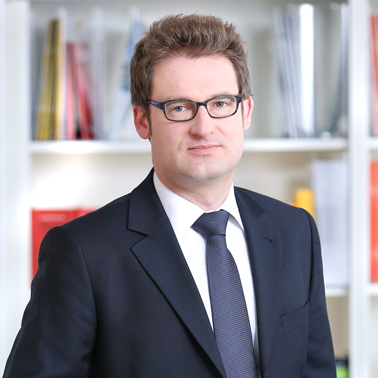 *Dr. Manuel Knebelsberger is a senior associate in the Düsseldorf office.